Emergency Bird & Bat Removal & Control Services in Queens NY | Eliminate All Pest Control Inc.
During the cold winter months, birds, bats and other wildlife will look for warm areas to make their nests. They may find entrances to your attic, basement, garage, outbuildings or other undisturbed areas around your home or business and nest there. We provide bat and bird removal services in Queens, NY to get rid of pesky birds and bats. Bats are one of the most dangerous pests that can invade your home because of their capacity to carry disease. Bats are the number one carriers of rabies in the United States, and they carry hundreds of other potentially deadly illnesses. With a single bite or even a scratch, small bats can spread a host of bacterial infections. Birds can also carry disease, though their nest building habits and potential to damage roofs and eaves or clog gutters are a bigger concern. Birds may also make their nests inside warehouse or other businesses, causing concerns about sanitation and cleanliness. Removing the birds before they establish nests will prevent damage to your home or business. 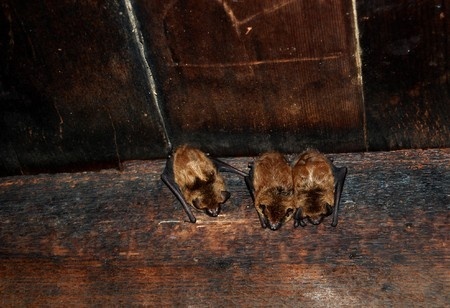 We remove the birds or bats from their nesting areas and repair areas of entry so they will not return. Schedule bird or bat removal today. Call us any time at (718)-304-6199 for 24 hour emergency bird or bat removal.